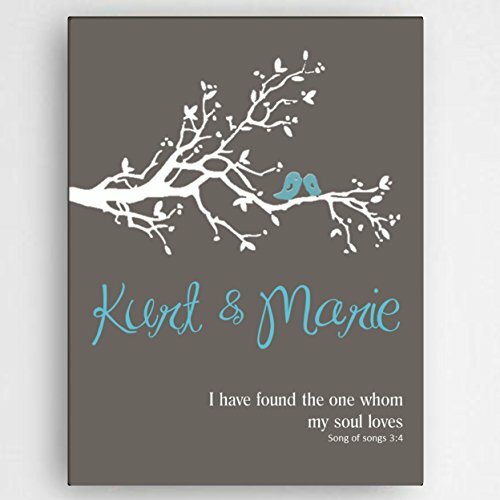 A gift of Personalized Wedding Canvas Art will last a lifetime. Such a wonderful way to commemorate a wedding day or an anniversary. The highly personalized art makes this an extra special and unique gift for the happy couple to always cherish. 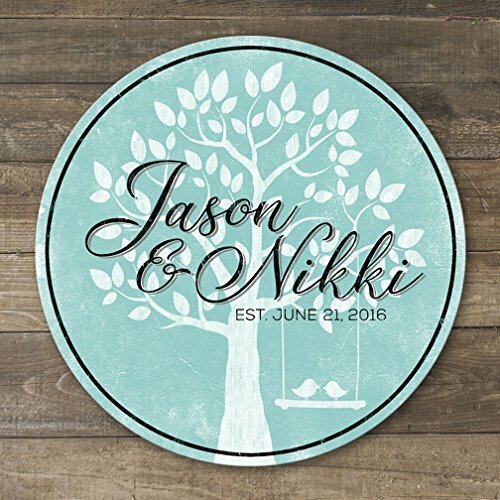 One of my favorites of the most popular up and coming wedding gifts is the Corner of I Do, a Personalized Wedding Canvas Art Print. 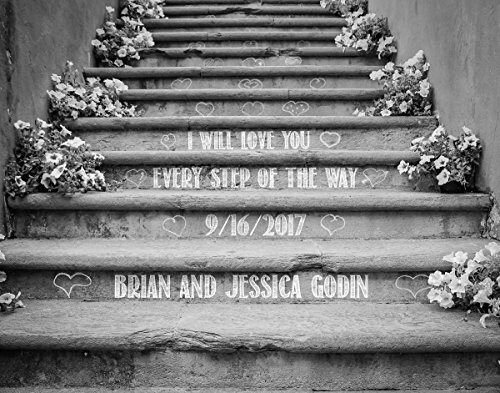 This enduring art piece is custom ordered with the names of the bride and groom along with their wedding date. 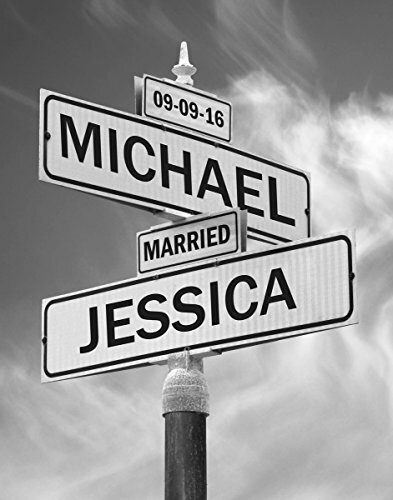 The canvas is personalized with a bride and groom street sign intersection which is “The Corner of I Do”. I think the background is very pretty with a blue sky and some whispers of clouds. Combined with the street sign it looks amazing. This is a quality print on canvas that arrives ready to hang. It can also be framed and the 11 x 14 size is exact for flawless framing. A thoughtful gift that speaks “love” from the beautiful letter pictures to the personalized sentiment. Newlywed couples will love to display this work of art in their home in honor of their special wedding day. There are several different sizes and options that can be customized, from this USA family owned and operated seller. 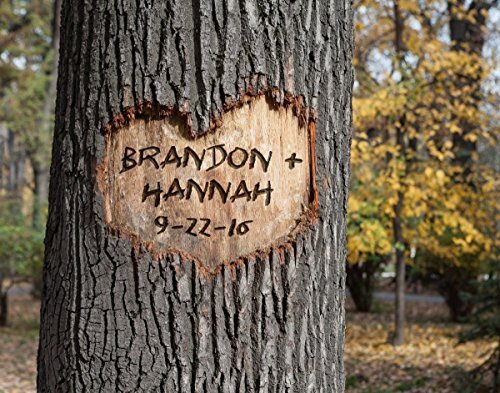 Picture a beautiful oak tree growing with love over many years personalized with the bride and groom’s names and wedding date. A beautiful sentiment to honor their love and marriage in a special gift. A lovely print completely personalized for the wedding couple. There are several options from which to choose. I personally like the stretched canvas print which arrives ready to hang and display. Two other options are available: unframed print and ready to hang framed print. Simplicity and beauty are found in a unique art piece honoring the wedding of the bride and groom. A perfect memento they can treasure for the rest of their lives. The display seen here features a print to place in your own frame. A stretched 16 x 20 art canvas that arrives ready to hang and a smaller framed print option is also available. Wedding gifts come and go, but this is one that will last a lifetime. A delicately detailed family sign personalized with the bride and groom’s names and year of wedding. This hand-crafted gift will become a sweet reminder of years past and years to come. Many sizes and colors to choose from make this a “one of a kind” gift. I like to call this beautiful canvas art, Sweet, Simple and Sophisticated. After all, the sentiment is sweet and simple and the design is contemporary and sophisticated. Nothing more needs to be said on this canvas and the meaning of love is powerful. The colors are perfect and especially the way the bride and groom’s names pop so nicely with the lovebirds, all in blue. What a unique wedding gift! It would look cute in a foyer, as a way to welcome guests to your home. I like the idea! We don’t have any weddings coming up in the near future but I will bear your gifts in mind!